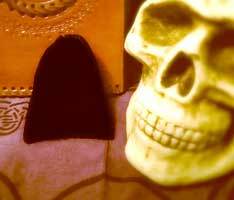 Gris Gris Bags, etc / FREE SHIPPING! Small sachet filled with herbs and other fillings intended by practitioners of Voodoo to achieve a particular magical goal. Gris Gris Bags are popular for protection and attracting positive influences into your life such as love, psychic ability, prosperity, health, protection and positive things. When we are making Gris Gris Bags we keep in mind that the color of your bag must be in direct relation to the intention.Please after purchase include an email with your birth sign it helps for us to include certain stones directly linked to your birth sign. 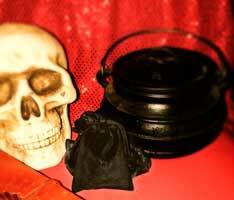 Searching for months and can't find work, need some help attracting employment, looking to move up in your current position this Gris Gris bag filled with the herbs, stones, name paper, feather a spell and oils will attract just that. Wear on your person at all times and rub now and again focusing on it's goal. We only accept paypal at this time. Free Shipping inside the U.S.A. The word gris-gris is a French rendition of the Central African word gree gree, which means fetish or charm. a gris-gris is often carried in a small sachet, worn on your person and is essentially like carrying a charm or a spell. 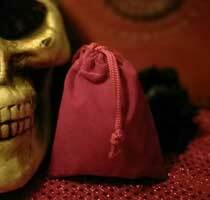 Gris gris bags combine the magical powers of colors, herbs, stones, essential oils, and other magical items. This is a Gris Gris for Health. Please after purchase include an email with your birth sign it helps for us to include certain stones directly linked to your birth sign. This is for a Gris Gris for protection.Please after purchase include an email with your birth sign it helps for us to include certain stones directly linked to your birth sign. The word gris-gris is a French rendition of the Central African word gree gree, which means fetish or charm. a gris-gris is often carried in a small sachet, worn on your person and is essentially like carrying a charm or a spell. 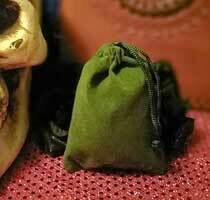 Gris gris bags combine the magical powers of colors, herbs, stones, essential oils, and other magical items. This is a Gris Gris for Health. Please after purchase include an email with your birth sign it helps for us to include certain stones directly linked to your birth sign. A small sachet filled with herbs and other fillings intended to achieve a particular magical goal. They are popular for protection and attracting positive influences into your life such as love, psychic ability, prosperity, health, protection and positive things..This bag will be made to draw money to you. When we are making one we must keep in mind that the color of your bag must be in direct relation to the intention.Please after purchase include an email with your birth sign it helps for us to include certain stones directly linked to your birth sign.